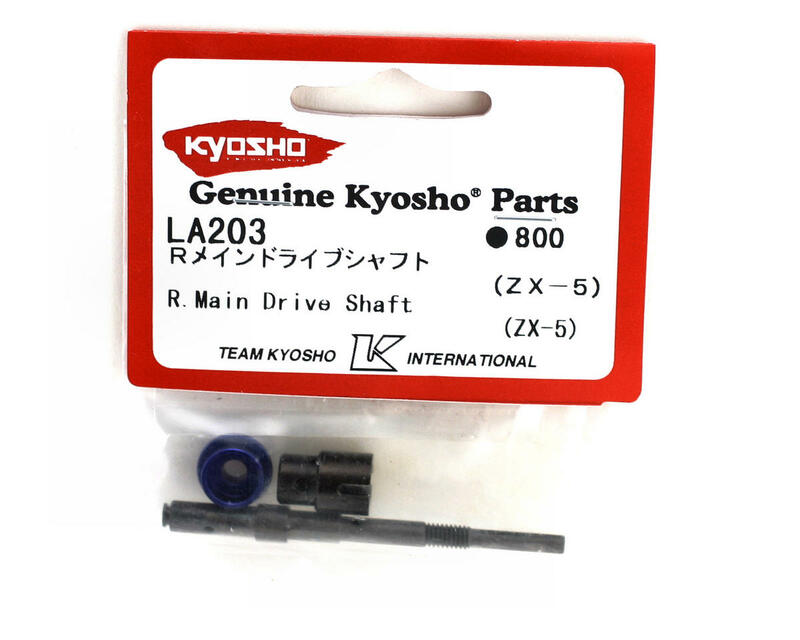 This is a replacement rear main drive shaft for the Kyosho Lazer ZX-5 4WD off-road buggy. 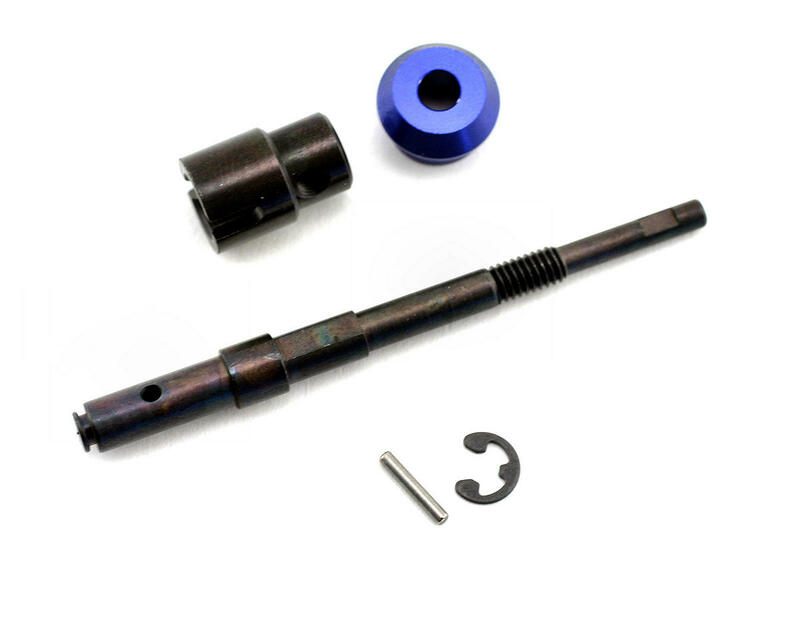 This is the main drive shaft that connects the center drive shaft of the buggy through the main drive spur gear to the rear differential. Included are the drive shaft, center shaft drive cup and blue slipper retaining unit.